Know how to use an Arduino, programming an Arduino. An Arduino. The code supplied assumes an Arduino Uno, but could be adjusted to a larger model too. Some craft wire to strengthen basic structure and for decoration – I used0.8mmthickness. A prototyping board of some type that you can solder all your bits to. I used one which didn’t have full tracks along it as I don’t have a track cutter, but use whatever suits you. An Arduino prototyping shield is a little too small though, unless you really squeeze your LEDs together. Random component wire – some network cable strands and some of the prototyping wires from a kit will work fine. Crocodile clips or “helping hands” are useful for holding bits in place. A drill, with the same size bit as your LEDs. Before you begin construction, it’s important to have an complete overview of how this thing is going to work so you can improvise and identify errors as you go along. Some LED cubes use a single output pin for every single LED – however in a 4x4x4 cube, that would need 64 pins – which we certainly don’t have on an Arduino Uno. One solution would be to use shift registers, but this is unnecessarily complicated. 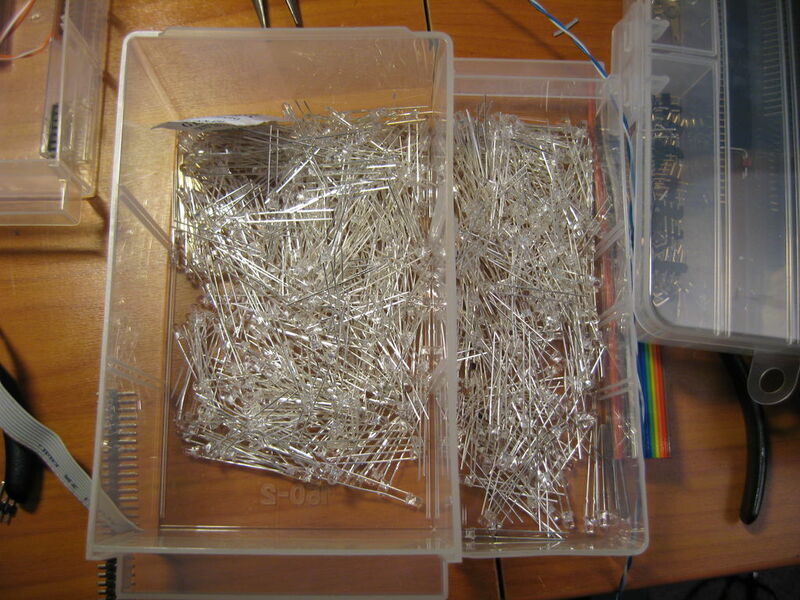 In order to control all those LEDs in just 20 pins, we’ll be using a technique called multiplexing. By breaking the cube down into 4 separate layers, we only need control pins for 16 LEDs – so to light a specific LED, we must activate both the layer, and the control pin, giving us a total requirement of 16+4 pins. Each layer has a common cathode – the negative part of the circuit – so all the negative legs are joined together, and connected to a single pin for that layer. Soldering grids of 4×4 LEDs freehand would look terrible! 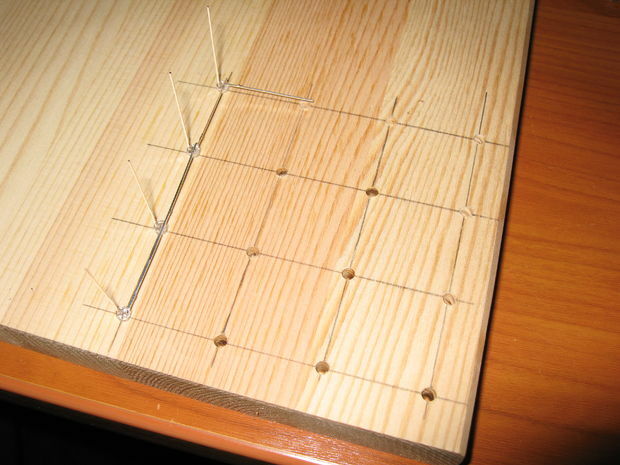 To get 4 perfect 4×4 grids of LEDs, we use a template to hold the them in place. I wanted to make the cube as easy as possible to make, so I chose to use the LEDs own legs as much as possible. The distance between the lines in the grid was decided by the length of the LED legs. I found that 25mm (about an inch) was the optimal distance between each led (between the center of each led that is!) to enable soldering without adding or cutting wire. 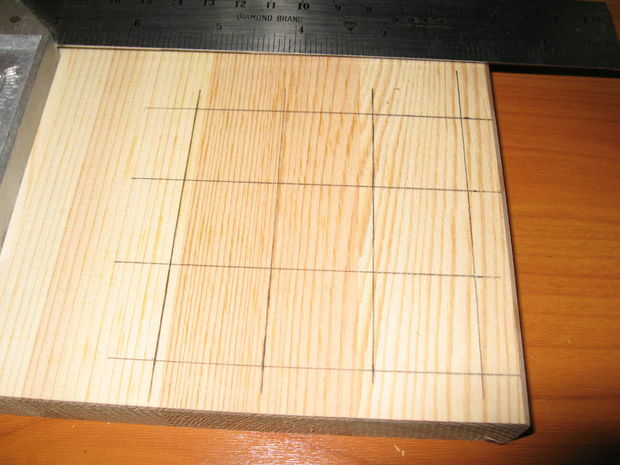 Find a piece of wood large enough to make a 4×4 grid of 2,5cm on. Draw up a 4×4 grid of lines. 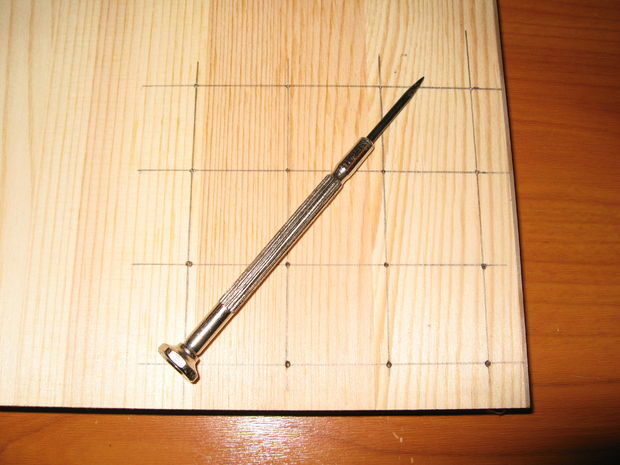 Make dents in all the intersects with a center punch. Find a drill bit that makes holes small enough so that the led will stay firmly in place, and big enough so that the led can easily be pulled out (without bending the wires..). Your ledcube template is done. Hold the corner in place with a helping hand and solder the corner anode of the first layer to the corner anode of the second layer. Do this for all the corners. Check if the layers are perfectly aligned in all dimensions. If not bend a little to adjust. Or re-solder of it’s the height distance that’s off. When they are perfectly aligned, solder the remaining 12 anodes together. 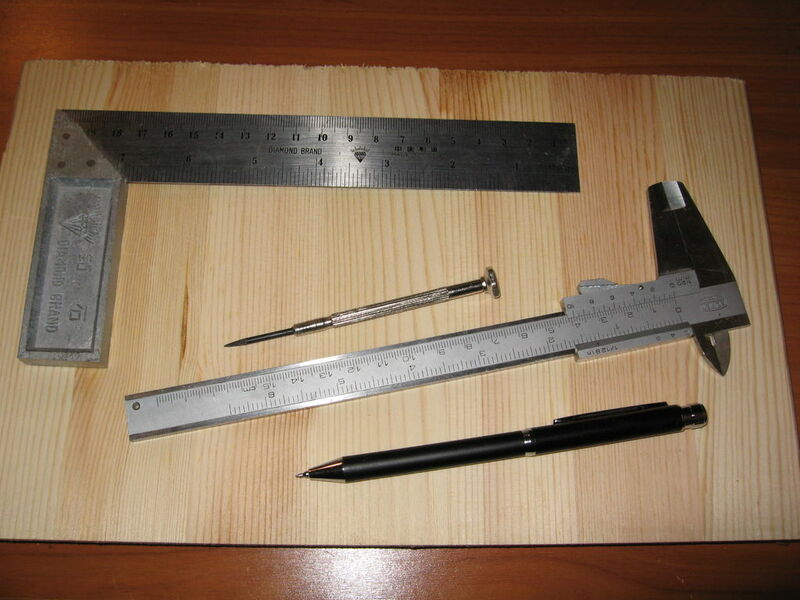 Download the demo patterns and code from instructable user forte1994. He’s also provided a helpful online tool for designing the byte patterns to customize your own sequence.